Thinking of spending time in the Canadian Rocky Mountains? Look no further than the Piccadilly Motel. 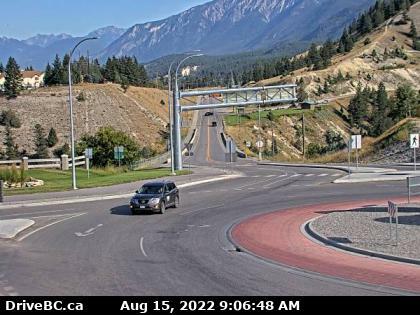 In the heart of the Village of Radium Hot Springs, in a quiet off highway location you will find The Piccadilly Motel and the gateway to the Best Golf in the Columbia Valley. The Piccadilly Motel gives you the choice between quality rooms and 1, 2 or 3 bedroom cottage style accommodation. Whatever your accommodation preference; you won’t avoid being surrounded by the Magnificent Rocky Mountains in the beautiful Columbia Valley. 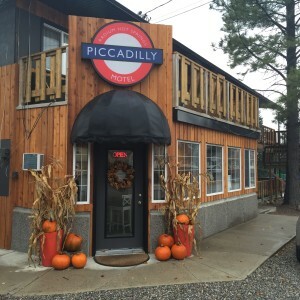 The Piccadilly Motel is situated in the heart of Radium Hot Springs with easy walking distance to all community amenities, with near by hiking trails a short drive to the Radium Hot Springs Mineral Pools. The Piccadilly Motel offers one, two and three bedroom cottage style accommodation with kitchenettes and private decks. Our main building offers quality motel rooms with Double, Queen & King beds, fridge and coffee maker are provided in all rooms. Each room has a balcony or patio area with Mountain views, all rooms and cottages are air conditioned. Our exclusive hospitality room and garden is ideal for group bookings. What’s new at the Piccadilly Motel? The Piccadilly Motel now offers Continental Breakfast. The Continental Breakfast is served from 8:00 AM – 10:00 AM.